Simoneink is honored to share that Restaurant Hospitality Magazine, the most trusted source of news for the foodservice industry, tapped into our expertise by sharing our annual culinary food predictions in their January newsletter. 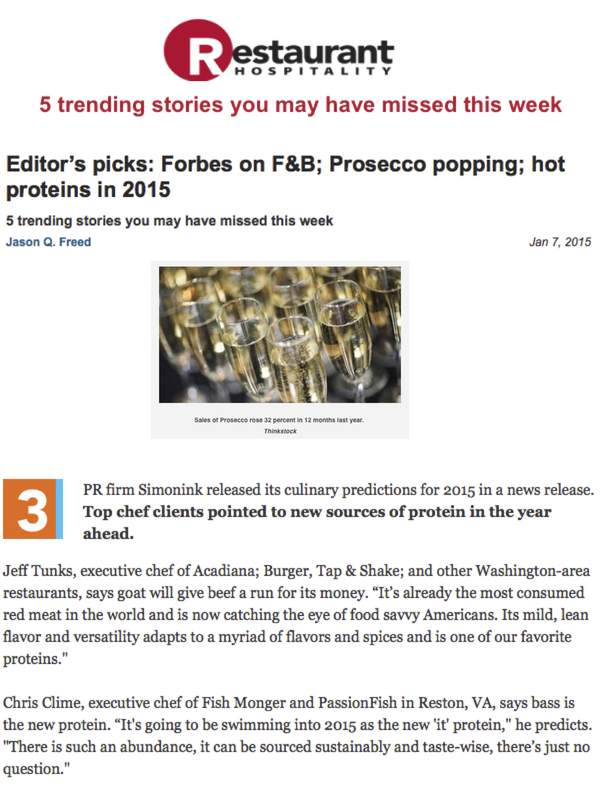 Simoneink aims to constantly share the most relevant and timely news – providing a connection between our culinary clients and the top outlets for coverage! This entry was posted on January 14, 2015 by Simone in Uncategorized.